Descant to the hymn tune IN BABILONE. Free score with harmonized descant. Free score. IN BABILONE is from Oude en Nieuwe Hollantse Boerenlieties en Contredansen (Old and New Dutch Peasant Songs and Country Dances), a collection of over a thousand tunes, dances, and marches of Dutch, French, and English origin. 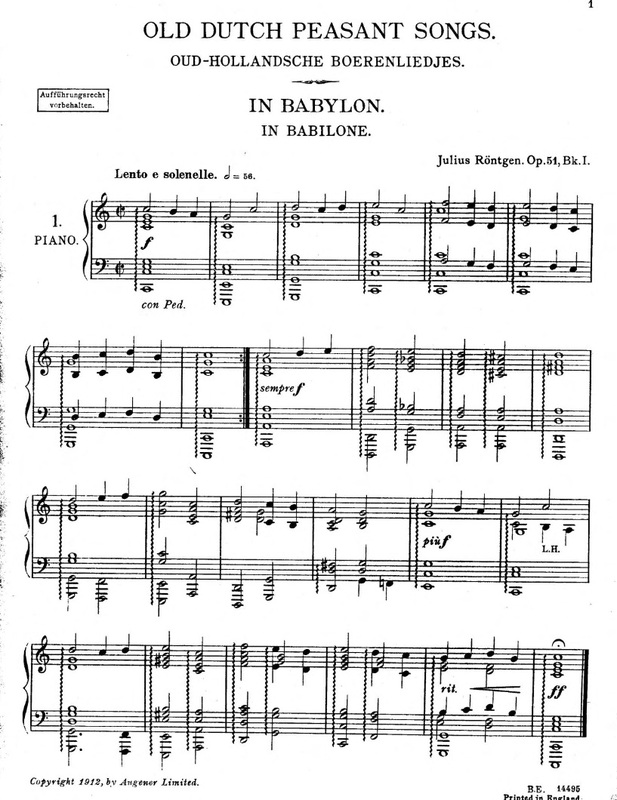 The tune name derives from the incipit of a Dutch ballad drawn from the apocryphal Bel and the Dragon, which opens "In Babylon, with lack of wisdom, men worshiped Bel the silent idol." Ralph Vaughan Williams discovered an arrangement of this thune by Julius Röntgen (1855-1932) and included it in The English Hymnal (1906), from which it gained widespread use. Six years later, Röntgen published his own version for piano.